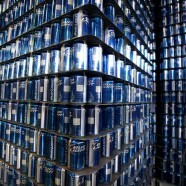 Bud Light was the second most popular light beer behind Miller Lite. It was creeping up on Lite but it was time to step on the gas and pass them to become the number one light beer in the world. So who were the brands standing its way? Coors Light, Lite? BDIP suggested that it was the other brand in the Anheuser-Busch portfolio (i.e. Budweiser, Michelob). A beer salesman could focus his effort on any brand in the AB portfolio but if Bud Light was to make this historical jump they needed to focus on it first. An internal campaign, Boom Boom out Goes the Lites, was developed and became the rallying cry of the entire company. BDPI believes that you must start internally firing up the troops with a clear mission before you can influence the marketplace. Bud Light passed Lite six month sooner than Wall Street projected. A remarkable achievement.